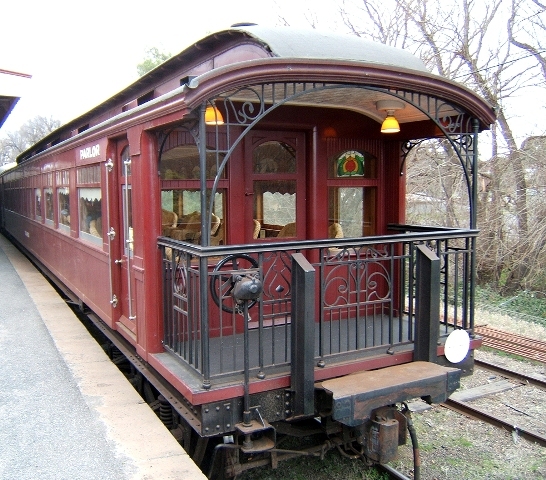 The parlor car is used by company officers, local business owners and wealthy travelers. It is still in the planning phase as I have not decided to do a full parlor car or a joint car with parlor and first class sections. 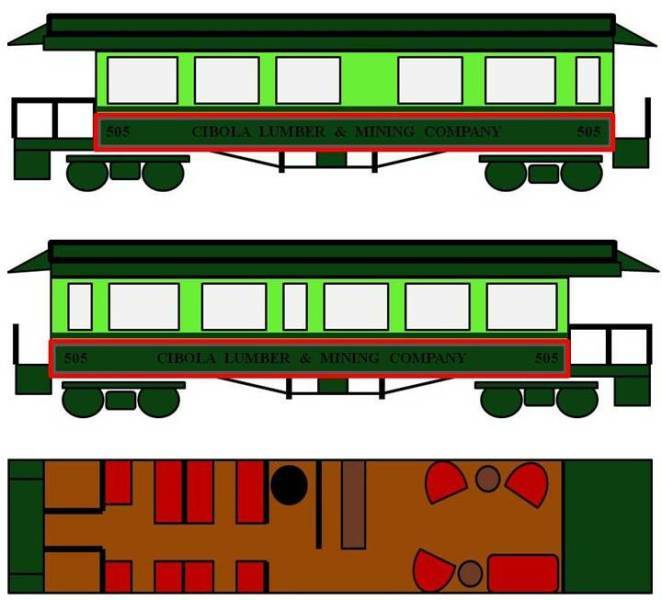 Either way I will have to customize the existing coach walls. I envision an interior and observation deck similar to these examples. I have an AMS RTR unlettered coach as a starting point. The joint plan is depicted below. 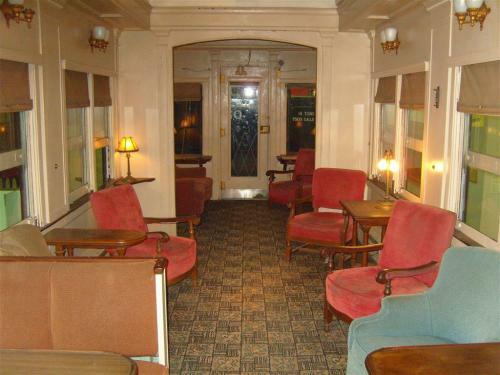 If I go with the full length parlor car I will also add a first class passenger car with partitioned seating.